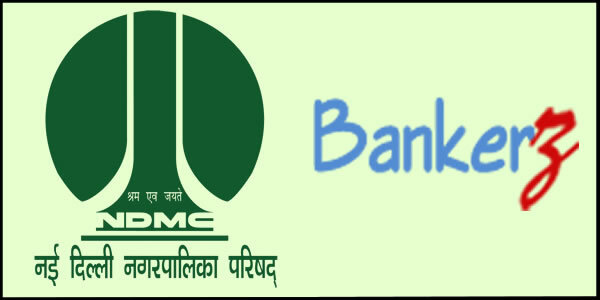 NDMC Recruitment 2018 Apply Online 5 Job Vacancies March 2018. NDMC Recruitment 2018 Job alert both Fresher and Experienced can get updated on March 17, 2018 notification on recent NDMC recruitment 2018 openings across India. This is an exclusive page updated on 17.03.2018 for the latest recruitment notification ndmc.gov.in from New Delhi Municipal Council NDMC 2018 it contains both active and recently expired Job openings and recruitment notification from NDMC 2018. NDMC Recruitment 2018-19: Apply Online for one Director vacancy in NDMC Recruitment 2018-19 in New Delhi. New recruitment Jobs 2018-19 notification ndmc.gov.in published for the post Joint Director in NDMC Recruitment 2018-19 read complete details before applying. One Vacancy in NDMC for the post Joint Director. NDMC has announced recruitment notification for the post Director eligible candidates can submit their application before 09-07-2018. (ii) 10 years experience in administration/establishment/accounts matters. Applications alongwith Curriculum Vitae of the eligible candidates and attested copies of their qualifications and experience certificates, APARs for last 5 years, vigilancehntegrity certificate must reach through proper channel in the Office of Director (Personnel-I), Room No.5001, 5t1 Floor, NDMC, Palika Kendra, Sansad Marg, New Delhi-110001 latest by 09.07.2018 envelope containing application should be superscripted "APPLICATION FOR THE POST OF DIRECTOR". NDMC has announced recruitment notification for the post Joint Director eligible candidates can submit their application before 09-04-2018. 2.Qualifications: Possessing the following educational qualifications and experience: (i) Degree from a recognized university or equivalent. Atleast two years experience as : DVO Departmental Vigilance Officer) or Asstt. to DVO or having worked in Vigilance Deptt. with knowledge of processing of cases with CVC, CBI etc. 4. Period of deputation including period of deputation in another ex-cadre post held immediately preceeding this appointment in the same or some other organization/deptt. of the Central Govt. shall ordinarily not exceed three years. The maximum age limit for appointment by deputation shall not be exceeding 56 years as on the closing date of receipt of applications. Address:- Office Of Section Officer (Est). Room No,4008, 4th Floor. NDMC. Palika Kendra. Sansad Marg, New Delhi-01. NDMC has announced recruitment notification for the post Law Officer, Deputy Law Officer eligible candidates can submit their application before 26-03-2018. 2. Eligibility: i) Holding analogous posts on regular basis in the parent cadre/department; or (ii) with five years service in the grade rendered after appointment thereto on a regular basis in the pre-revised pay scale of pay of 210000-15200 (PB-3 215600-39100 + GP 26600) Or equivalent in the parent cadre/department; and (b) Possessing following qualifications and experience: (iii) Degree in Law from a recognized University or equivalent. (iv) 10 years experience of legal work. 2. Eligibility: (a) (i) Holding analogous posts on regular basis in the parent cadre/department; or (ii) with three years service in the grade rendered after appointment thereto on a regular basis in the pre-revised pay scale of pay of 6500-10500 (PB-2 9300-34800 + GP 4600 Or equivalent in the parent cadre/department; and (b) Possessing following qualifications and experience: (i) Degree in Law from a recognized University or equivalent. (ii) 3 years experience of legal work in a Govt. Deptt./Local Bodies/Semi Govt. Applications along with Curriculum Vitae of the candidates and attested copies of their qualifications and experience certificates, APARs for last 5 years, Vigilance/Integrity certificate must reach through proper channel in the Office of Section Officer (Estt. ), Room No.4008, 4th Floor, NDMC, Palika Kendra, Sansad Marg, New Delhi-01 latest by 26.03.2018. The envelope containing application should be superscripted "APPLICATION FOR THE POST OF LAW OFFICER OR DEPUTY LAW OFFICER" as the case may be.